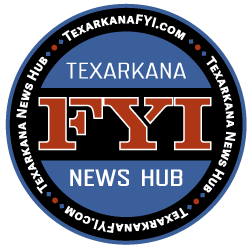 Officials with the City of Texarkana Texas are giving notice that Cowhorn Creek Loop Road will be closed from approximately 4:00 pm to 6:00 pm on Thursday, November 29 for drainage improvements. Here are the detour plans. South Cowhorn Creek Loop Road will be closed on Thursday, November 29, 2018, from 4:00 AM to 6:00 PM due to the installation of drainage improvements across the roadway. 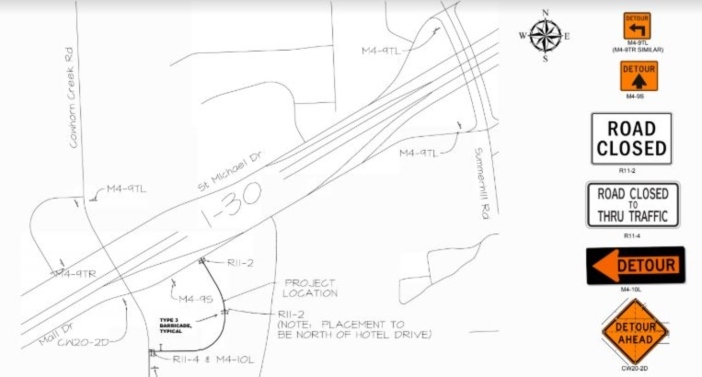 Access to the Texarkana Emergency Center, Candlewood Suites, Hilton Garden Inn, and the Texarkana Convention Center will be permitted from Cowhorn Creek Road. However, there will be no access from Mall Drive. 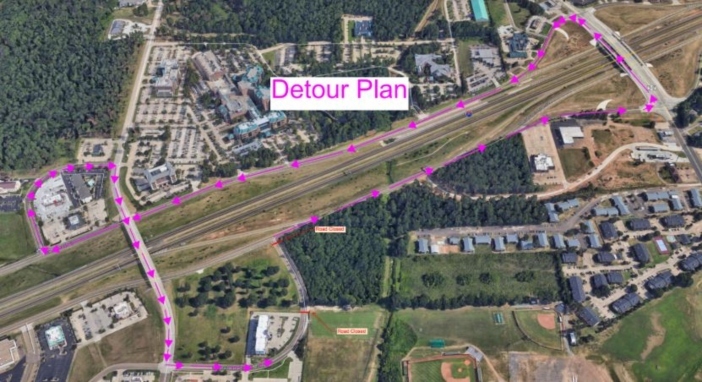 Please review the detour plan for this area to plan accordingly. For additional information, please contact Public Works Office at: 903-798-3948.